Bluewater Pools™ is a leading Pool Builder in Auckland, having been in business over twenty years, building concrete pools and fibreglass pools to suit clients' needs. As experienced Pool Builders we provide Free no obligation quotes to assist with budgets and planning. Using trained and experienced personnel Bluewater Pools build and maintain pools to a high professional standard ensuring client satisfaction and the ongoing referral to others. Our Mobile Pool Service team is available to service pools and spas throughout the Greater Auckland area. Bluewater Pools™ also maintains an ongoing role with existing pools in providing an expert refurbishment facility including painting, plastering, tiling and equipment replacement. Liner replacements, Heating and Pool and Spa covers are a specialty. Have confidence when you purchase a home with a pool, we will undertake a pre-purchase inspection and provide a written report on condition of the pool, the surface and the equipment, heating and cover. We charge $125 incl GST and provide our report within 24 hours so that you can buy with confidence. From 20 years experience we can tell you what condition the pool is in and if any maintenance is required. 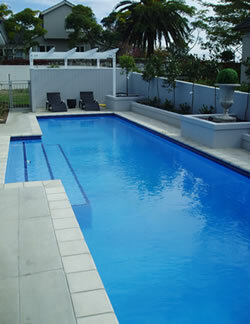 Bluewater Pools™ offers pool clients throughout Auckland and Northland the opportunity to upgrade their existing Pools. Our Pool renovation team will advise and quote on a new surface finish in Marble plaster, coloured Plaster using Quartzon or Pebblecrete or an Epoxy painted finish. We undertake tiling and paving to compliment the pool upgrade. For Vinyl pools from Para, Paramount, Cascade or similar we can undertake a full renovation including a new Liner as well as wall replacements if required. For Fibreglass pools we can either re Gelcoat the surface or apply an epoxy Pool Paint. A pool refurbishment by Bluewater pools will restore your pool to new again. Our Auckland mobile Pool service offers a comprehensive cleaning and equipment maintenance service. Bluewater Pools™ supply Pool covers and Spa covers New Zealand wide. We measure and make and install a full range of pool covers and spa covers for heat retention. The Super Bubble covers and Thermal Series 2001 covers are superior at retaining heat in pools. For winter the Pool Debris cover keeps leaves and debris out of the pool while the pool cleaner operates underneath. For Spas we have the Supernova Hard top lid that complies with Fencing Regulations as well as floating foam spa covers. We sell and install the Baracuda Automatic Pool Cleaner range. We have electric Polaris Pool cleaners for commercial pools. We install Oasis Heat Pumps, Solar Heating and Gas Heaters and recommend that they are accompanied by a pool cover and roller system to retain the heat and minimize costs. Bluewater Pools has been responsible for the upgrading of many School Pools to meet the NZ Standards for Water Quality for Public Pools. NZS 4441:2008 and NZS 5826:2001 apply. We provide advice and quotes for work required. We maintain many School pools with a regular cleaning service and water quality testing and chemical balancing. Our Online Pool Shop lists an extensive range of Chemicals, Equipment and Accessories, Pool covers and Spa covers, Heating and Cleaners which can be shipped throughout New Zealand, the Pacific Islands and other Overseas destinations. Blue Water Pools™ online purchases are processed through a fully secure web server so you may purchase with confidence online. We accept cards from Visa, Mastercard and American Express and payments through the PayPal online payments facility. Bartercard clients are welcome to use Trade Dollars,(conditions apply). 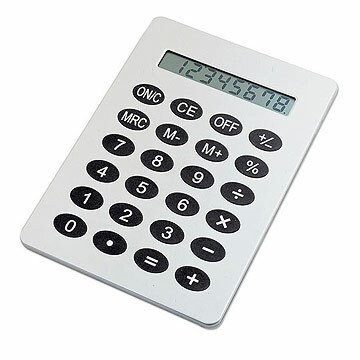 We have a calculator to help you calculate the amount of chemical required to balance your pool. We trust that you find the information on this web site helpful and that it meets your needs. If we can provide other information please do not hesitate to contact us. If you wish to subscribe to ‘Pool News’ just send us your contact details.